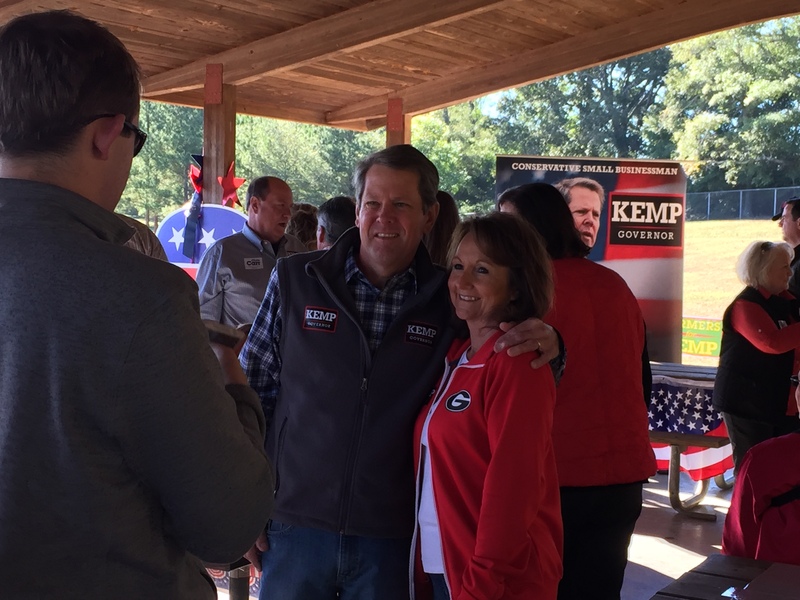 Republican gubernatorial nominee and current Secretary of State Brian Kemp stopped in northeast Georgia on Oct. 29 as part of his “Road to Victory” bus tour. Kemp campaigned in Winder, Watkinsville, Jefferson, Madison, Covington and Monroe. Grady Newsource caught up with the Athens native at Oconee Veterans Park in Watkinsville and then later in Jefferson. Kemp came out to garner support not only for himself, but for local Republican candidates as well. Kemp said keeping the economy strong is one of his top priorities along with cutting government spending and putting Georgians before illegal immigrants. Grady Newsource spoke with Kemp about former president Jimmy Carter, who wrote a letter asking him to resign as secretary of state in light of accusations he has worked to suppress the minority vote. Erin Valle is a senior majoring in journalism.